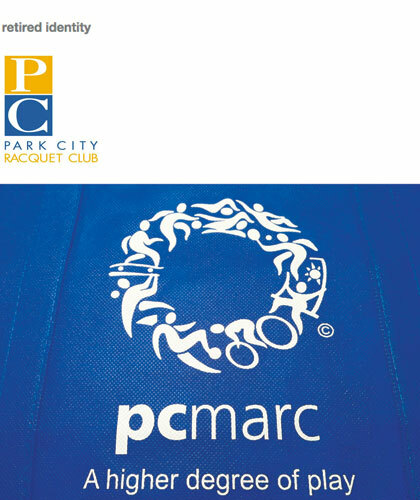 Park City Municipal Corporation (PCMC) was replacing the antiquated Park City Racquet Club with a new, larger, state-of-the-art recreation facility. At issue was the name “Racquet Club;” it belied the wide variety of athletic and recreation opportunities offered by PCMC. Thus the name was not only self-limiting but also misleading: As a public facility it was neither a private club nor did it offer racquetball. A new name for the facility must be short, descriptive and memorable otherwise, PCMC feared, the public would continue to call the facility the “Racquet Club.” Furthermore, research revealed that the Park City community was generally unaware of all that Park City Recreation provided year round, throughout the town. Leader Creative developed an easily recalled name for the renovated facility: The Municipal Athletic and Recreation Center or, simply, the MARC. The symbol was designed to immediately convey the wide array of athletic and recreation opportunities offered by this city department. Included in Leader Creative’s re-positioning strategy is the tagline “A higher degree of play” that refers to both the MARC’s state-of-the-art facilities and Park City’s 7,000 feet elevation.